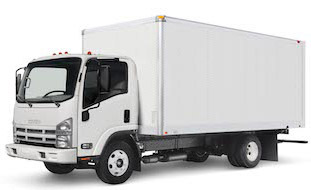 Our Newport Beach Movers Get Your Move Done Right! We are Established Moving company in Newport Beach. If you’re looking for movers who operate in Newport Beach, California, you’ve come to the right place. Our company is established in the region where we have built a loyal following due to exceptional customer service. When you choose us today, we’ll ensure that every aspect of your move is expertly planned and carried out, from packing to unpacking to assembly and disassembly. If you want expert relocation services that don’t cost an arm and a leg, we hope that you’ll get in touch with us today. We want to offer you the best standard of service for the most reasonable price. Our goal is to help you enjoy a pleasant and stress-free move. When you choose us, you’ll be selecting a company with the best movers. Our branch in Newport Beach deals with local and long distances moves. Being a licensed and insured Orange County company, it sends professional Newport Beach movers and a trained crew on every pick up and deliver. Every move crew arrives prepared with top quality wrapping and packing materials and blankets to wrap all furniture units and fragile stuff. The team will cover your things with special padding and wrap materials that may be needed. Our company provides protection boxes for maximum protections of the customer’s belongings. Professional workers will wrap the stuff which can be damaged into specially designed premium packing material. Special wardrobe boxes to hold your jackets, shirts or pants can be also used by our guys when they pack your things. When you hire us your presence when a move is going does not have much influence on the process. Entrusting your move to us, you can be sure: Newport Beach professional movers will do their job better than any other moving company. Experts in relocation, our movers put the quality of their services to the first place. This means that the treatment of your things will be as gentle and delicate, as if they treat their own stuff. The customer may not present at the moving process. The team, coming to you, will wrap and pack all the furniture units. The company uses only the best quality materials as our company take responsibility for the client cargo and all belongings. The disassembling of the furniture when the moving process starts and assembling everything on the arrival is also a job of our workers: do not worry about these things. Dealing with heavy loads, Newport Beach movers use special belts and equipment. Thus, they do not hurt themselves and never damage your belongings. However, your stuff which is moved is always insured: so that is is safe in any case. Newport Beach, California, with its seashores, stunning nature, great outdoor sports and beautiful people is a charming place to rest and a cozy home to live in. The income of the families in Newport Beach is higher than in most of the USA cities. It is the place of vacation where Americans and tourists from overseas come to rest. From the aerial view Newport Harbor looks calm and gorgeous. The amount of residents living in the community has been growing. Now it counts 85.000 residents. Millions of tourists come to enjoy the views of the place, the Harbor, the beaches and friendly festive atmosphere. Surfing, beach volleyball, diving, paddle surfing, visiting parks and the best restaurants: all these things, definitely, attract the tourists. Very often people, coming to rest there at the ocean, fall in love with the place atmosphere penetrated with love and joy. They take their greatest decision in life – relocating to this charming place. If you have an RV you can live there: the weather conditions of Newport Beach let people living in RVs even when winter comes. Certainly, most of people, coming there to stay soon find a good real estate company and move to the better home. Our company helps the new residents of the area to relocate to their new homes easily, with no fuss, with the least expenses. When Newport Beach movers help you to move, the day of relocation is remembered for the whole life as the happiest event.